We utilize CRA approved tax software and e-file for accurate and quick turnaround of refunds. We will prepare your incorporated business Canadian tax return or Canadian GST return. We will also complete corporate financial statements. And best of all, we do all this at the BEST value in town. We will prepare prior year returns and assist you in dealing with Canada Customs and Revenue Agency (CRA). Don't wait any longer contact us right now! 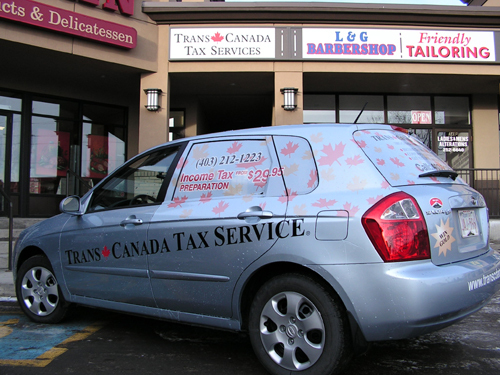 The Trans Canada "Tax-Mobile" can be seen while performing home visits to many customers throughout Calgary.